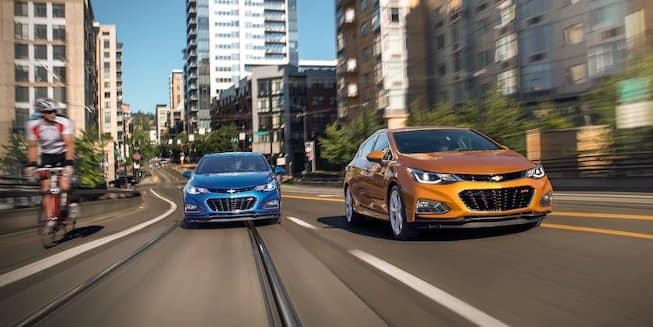 Which 2018 Chevrolet Cruze Trim is Best for Me? The L trim starts at just $17,850 MSRP* and includes a touchscreen display. The LS lets you choose between a manual and an automatic transmission. The interior of the LT receives an upgrade with a 6-speaker audio system. Enjoy an 8-way power adjustable driver seat in the Premier trim. Consider hatchback or diesel options to further set your vehicle apart. The Cruze base trim reaches 177 lb-ft of torque through a 1.4L 4-cylinder engine, a competitive number for a small car. The LS trim adds a number of important interior features like a center console, carpeted floor mats, and a compass. With Sirius XM capability and an enhanced cargo area provided by 60/40 split-folding rear seats, the LT stands out. At the top of the Cruze model line, the Premier edition is packed with luxurious features like remote start and heated front seats. Want to learn more about the Cruze? 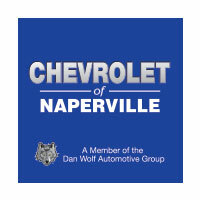 Chevrolet of Naperville can help. Schedule a test drive and apply for financing before you visit us at 1515 W. Ogden Ave in Naperville, IL. If you have any questions, feel free to contact us online.